Decorating Christmas tree is probably one of the most exciting things to do with your family during the holiday season. You don’t have to buy some expensive and fancy decors. 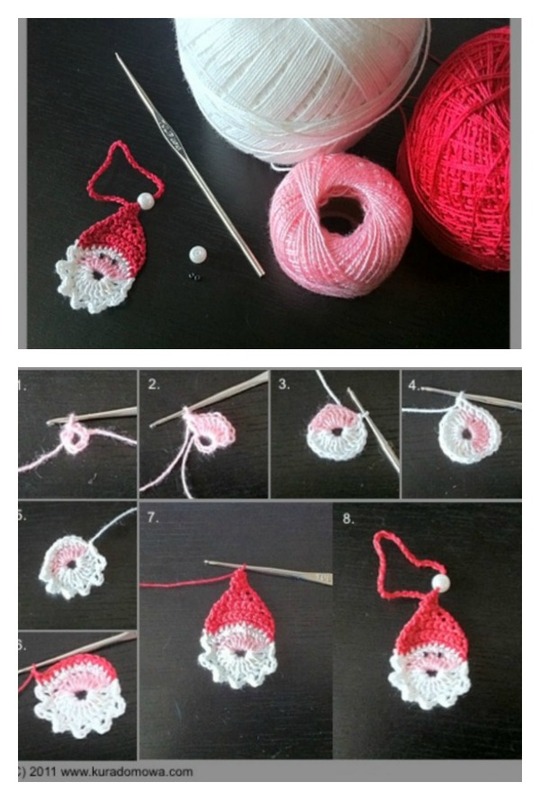 If you like crocheting, you can personalize your Christmas tree with a set of crochet ornaments framing the photos that you love. 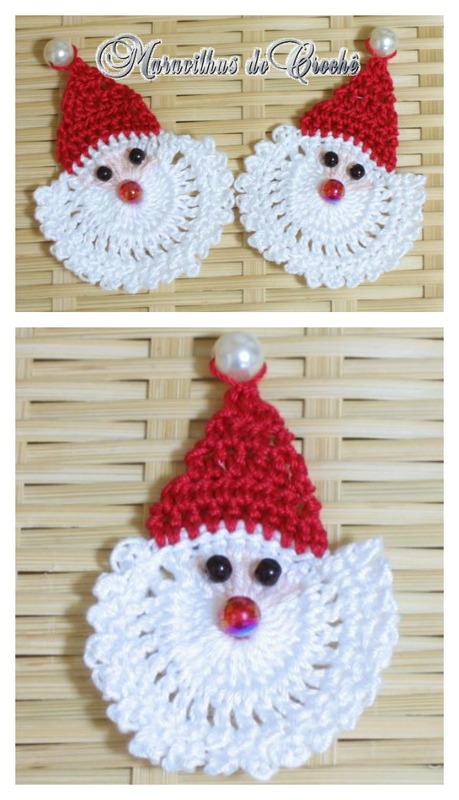 This crochet Santa ornament would be a cute addition to hostess gifts, holiday gift baskets or to adorn your own tree. It is very quick to make and looks really cute on a tree. 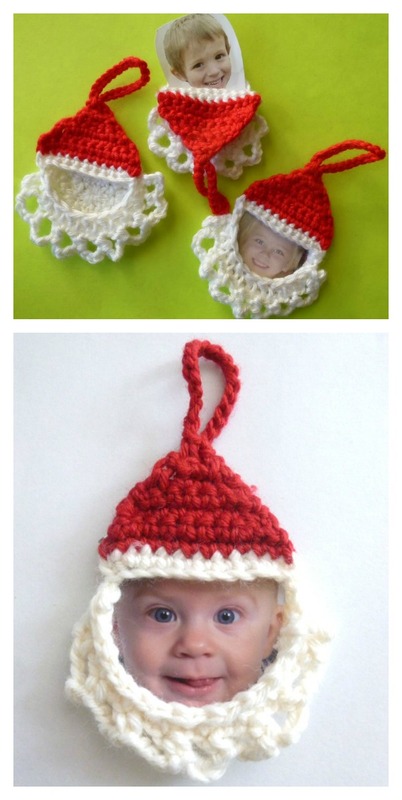 These also make really great easy gifts to give for the holidays.Simply take a treasured photo memory, add it into the Santa Frame crochet ornament and wrap it up as a special something for someone you love. They live on year after year, bringing warm memories as they’re hung up with care! Click below link for translated pattern….